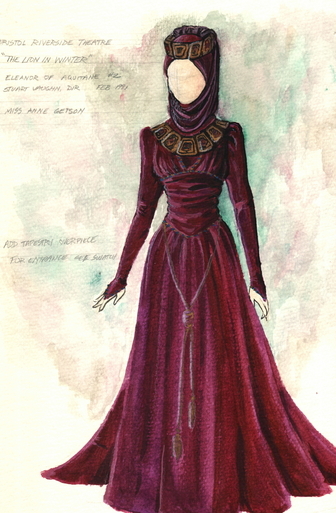 in Lion in Winter at the Bristol Riverside Theatre. 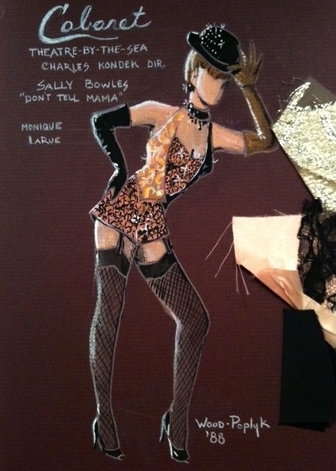 Directed by Stuart Vaughn. 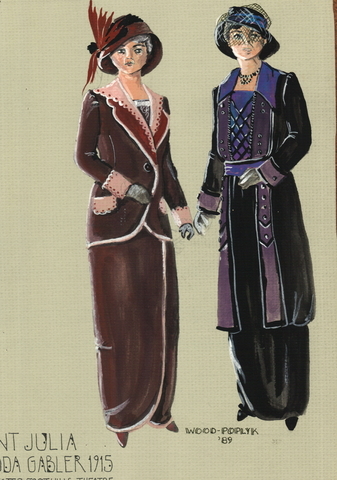 at the Worcester Foothills Theatre. 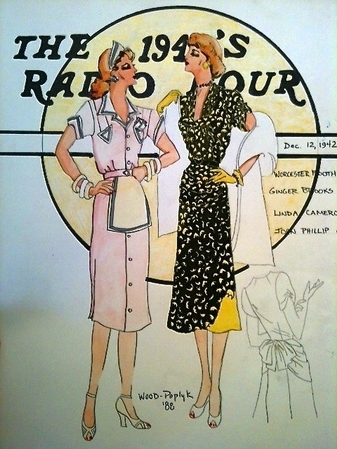 1940's Radio Hour at the Worcester Foothills Theatre, directed by John Grant-Phillips. 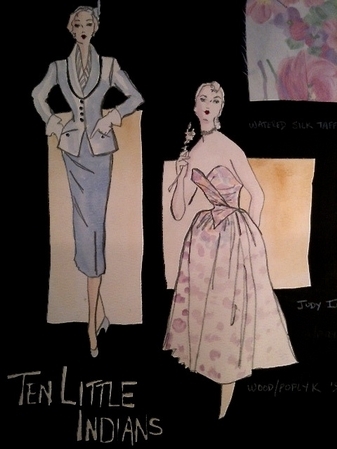 Costume sketch for Judy Ilahi in the Worcester Foothills Theatre production of Ten Little Indians. 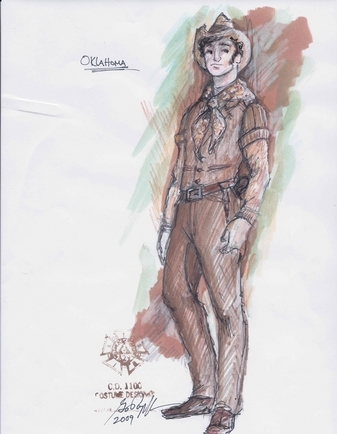 in the male ensemble of Oklahoma. 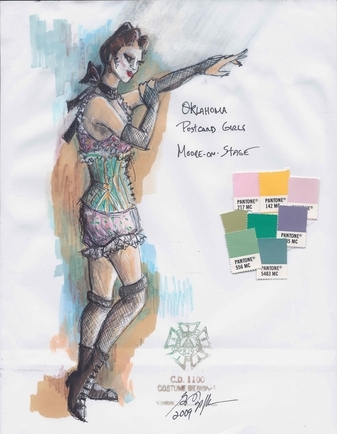 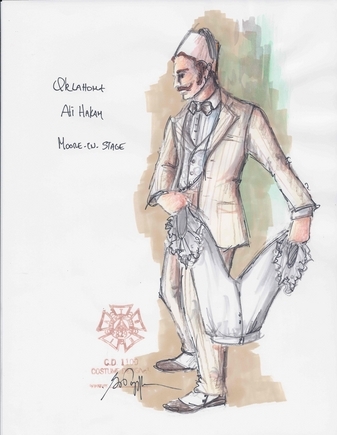 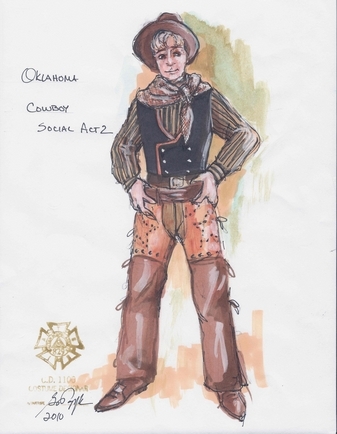 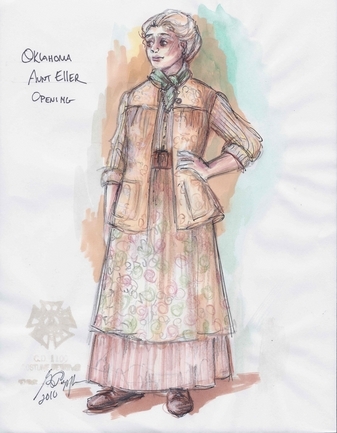 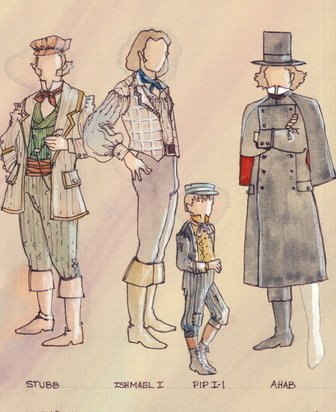 Costume sketch for the postcard girls for the production of Oklahoma. 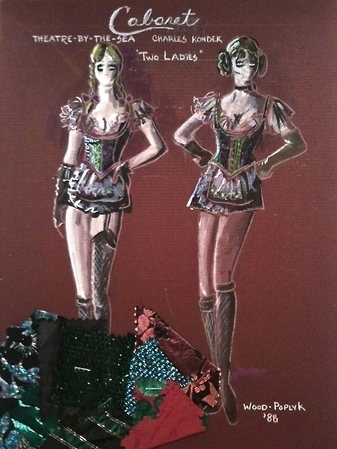 in the Theatre-by-the-Sea production of Cabaret. 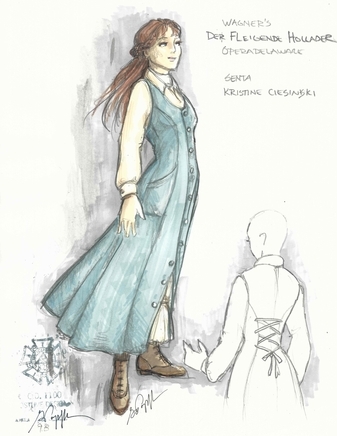 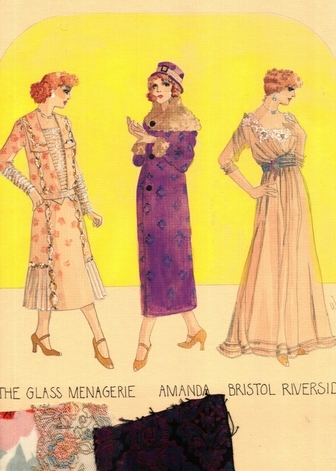 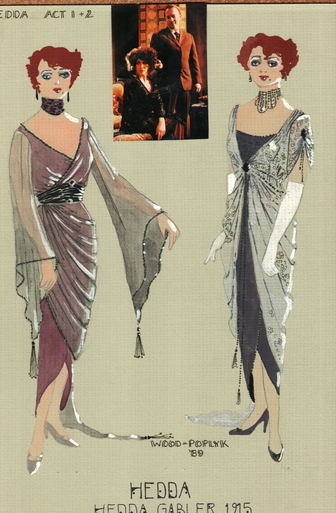 Costume sketch for Ann Getson as Amanda Wingfield in The Glass Menagerie for Bristol Riverside Theatre, directed by Susan D. Atkinson. 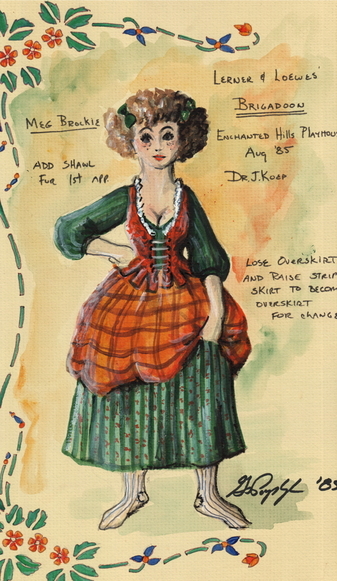 Costume sketch for Kristine Ciesinski as Senta in Richard Wagner's Die Fliegende Hollander for OperaDelaware. 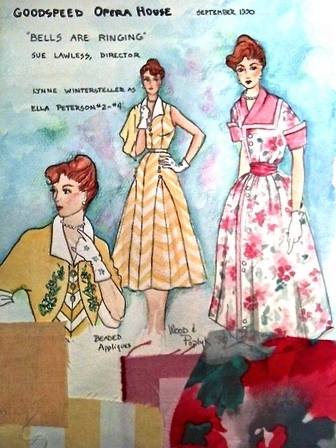 Belles are Ringing, directed by Sue Lawless. 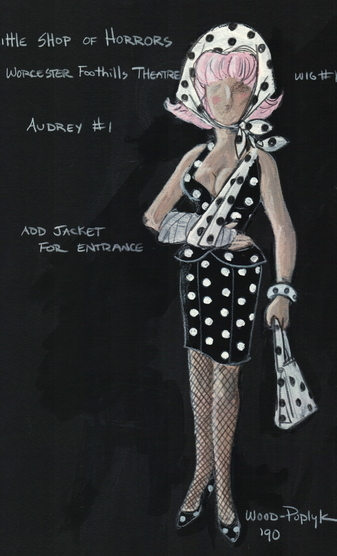 directed by Dr. jeffrey Koep.